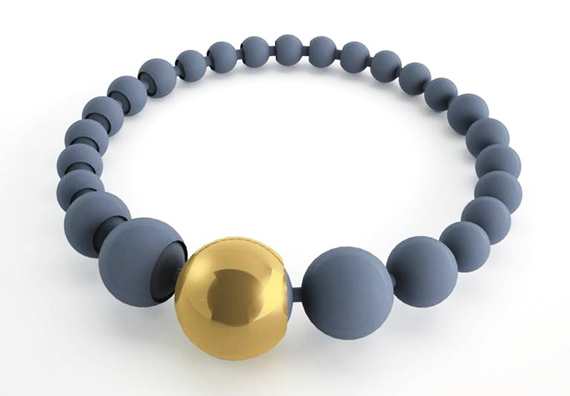 “It’s going to happen … but our hope is that it isn’t,” said Elisa Richardson, a spokeswoman for Shapeways, who was wearing a 3D printed silver bracelet on her right wrist. Richardson explained that the company prohibits forgery, as it prohibits printing of gun parts. She also said that customers are enthusiasts who mostly print their own designs. It’s a done deal. If there’s money to be made in illicitly printing 3D objects of any kind, it will be done. There’s no possible way to keep the designs from surfacing somewhere or to keep them from the hands of criminals. Elisa knows this; it’s going to happen. Is it all that surprising though? We can’t really say that it is. We’ve posted at least three times here on the far more mundane crime of stealing ink & toner for illicit resale and the millions that have been made therefrom. You’ve got to believe that if diamond or platinum jewelry can be forged with a 3D printer and sold for a thousand times more money than a toner cartridge, the crooks are already in the kitchen cooking up the scheme. Like with anything else in life, vigilance is simply going to be the cost here. Sure the FBI will set up a new “3D Printing Bureau” to investigate this new form of crime, but they’re usually at least a step behind the bad guys. So if you see a platinum bracelet for half price being sold out of the back of a moving box truck, for one reason or another it’s probably best to keep your wallet where it is. « 3D Printing: How Does it Work?